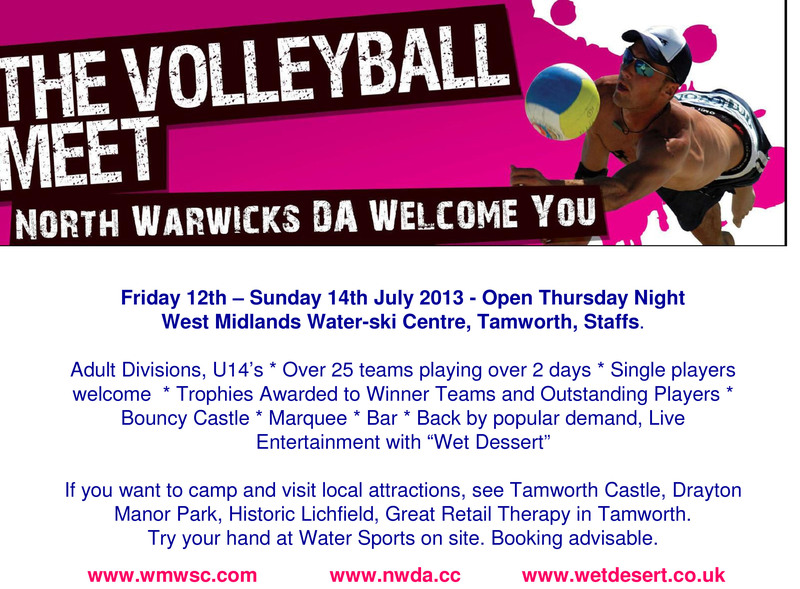 Why not visit the NWDA Volley Ball Meet, They are very keen to attract more DAs and Sections from the Club to come and join in this Inter DA Volleyball Meet. This meet has ran for over 30 years, and since moving from NECDA, has been ran by North Warwicks for the past 5 years. Its a great weekend, with DAs from Central Counties, Berkshire, Yorkshire, Leeds, Sheffield, even as far as Glasgow DA. It would great to meet other like minded campers. They have a marquee, live band. If you are not part of a team, just come along we will get you a game.